This project is currently in development. We are about halfway done with the content, but in need of funding to finish the game with all the features we envision. If you want to support the project, please consider donating with your download! The small mining town of Bataille, Missouri has been cordoned off from the outside world for six months. The inhabitants have no idea why. All they know is that ever since the so-called "Contingency," planes no longer fly overhead, strange creatures have been glimpsed beyond the perimeter, and large mechanical towers will gun down anyone who tries to escape. As Sheriff Erika Wright searches for the truth, she must listen to the advice of a serial killer, mingle with extreme conspiracy theorists, and negotiate with vampires. As Erika struggles to maintain order in Bataille, she uncovers startling secrets and makes unlikely alliances. Eventually, she must choose a partner in her quest to find the truth. The story will have four completely unique story branches depending on Erika's partner, each of which reveals a new secret and a chance for Erika to find romance. 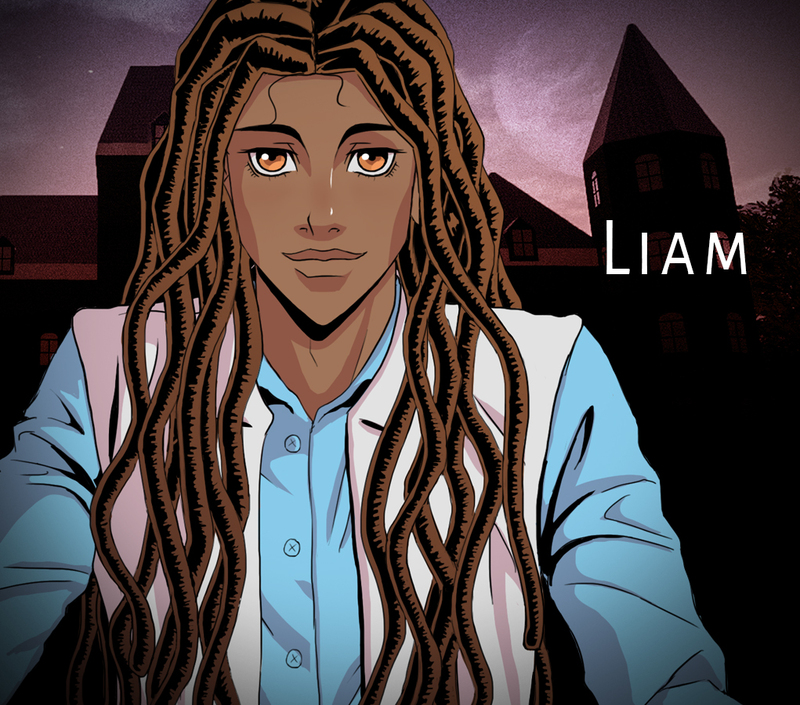 Adopted by the Bataille family at a young age, Liam Bataille has always struggled to feel like he fits in with the family. 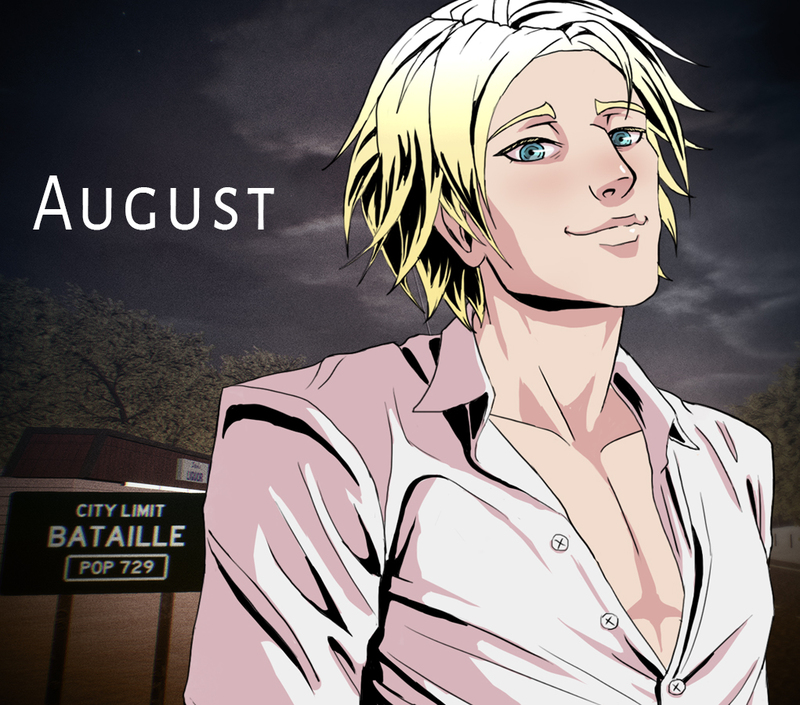 He’s easily the nicest member of the Batailles with an optimistic attitude, and he regularly urges to Erika to relax and have fun. 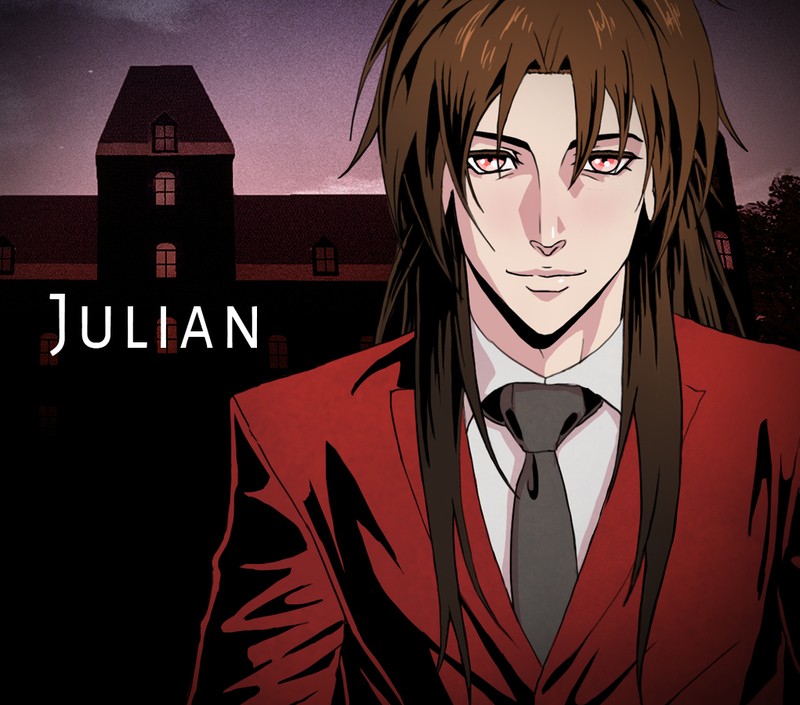 But his loyalty is frequently torn between his personal virtue and his desire to please Julian and Charlotte. Before the towers rose, August Flynn was a philosophy professor accused of 7 murders, coined the “Heartbreaker” for removing the victims’ hearts. Erika doesn’t believe his claims of innocence, but she might need his expertise against darker forces. 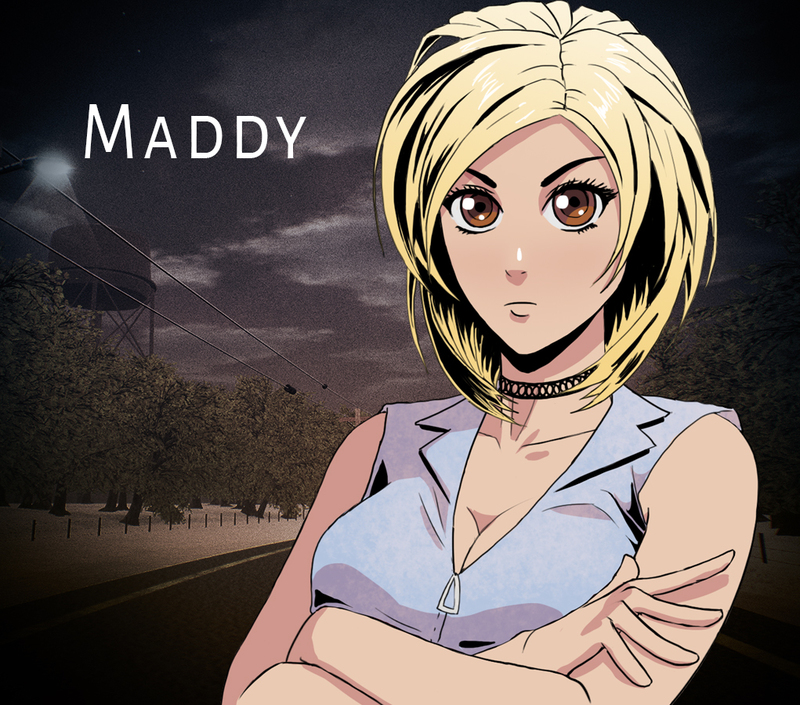 Growing up as a lesbian in a conservative, rural town often made Maddy feel like an outsider in her own home. The Batailles were the only people who fully accepted her, so she feels loyal to them. But as she learns the real truth of the Batailles, she’ll have to fight for the greater good. Julian Bataille seems calm, polite, and practical on the surface. He claims to maintain order in Bataille with his wealth and influence. He does like to maintain order and peace. But is he actually manipulating everyone for his own personal gain? The demo is amazing and I'm happily looking for the full game))) Loved all of yours other games too! Very interesting demo and I'd love to play the full game. Is there a way to pre-order (like a minimum donation to get the full game on release)? I enjoyed the demo. Looking forward to the full release. I loved your previous games. Especially Serafina's Saga and Crown. I noticed a glitch. There is a scene where the agent is supposed to be held at knife point, but at some point you no longer see him, you just see August holding the knife. Just thought you'd like to know. As stated by Lunaria, the text is slow even when set to max. This was easily remedied by clicking the spacebar or mouse twice to see the full text in one go. Do you have an estimated release date for this? Approximately how many words do you plan for this game to contain? Do you plan on putting this on kickstarter? Thanks for the feedback! I think the glitch you mentioned is actually just a result of how we staged the scene. We are considering ways to make that less confusing. At this point we're hoping for a fall or winter release date this year. The game will probably be 200,000-300,000 words, but it's hard to say for sure as we're still writing some of the branches! Probably no Kickstarter but we might try Indiegogo. I love almost everything about the demo! The art, the music, atmosphere, and especially the plot and 3D graphics! Erika also seems like a fantastic MC and I'm curious to see how her relationships with the other characters will unfold. One thing I had a bit of trouble with was the settings menu. Although I set the text speed to max, the text still appeared very slowly on my screen. I also had to click multiple times on the setting adjustment bars and save and load buttons to save or load my game because it didn't register during the first click. Otherwise, this seems like a great game and I'm impatient to play more of it! Really looking forward to the final product and wish your team all the best in its making! I just played the demo and I am VERY intrigued! Can't wait for more!